The Expand Audience team is focused on increasing awareness of WeWork to drive membership growth. More tactically, the team is focused on search engine optimization, building tools for internal teams to drive traffic, regionalization, content publishing, content marketing, & paid media optimization. Filling WeWorks global sales pipeline with high quality sales leads to each of our markets around the world so WeWork can continue to grow at a rapid pace. Become a subject matter expert in our acquisition strategy including our segments, audiences, marketing channels (paid, organic, etc.) & all of the technology & data that supports it. Partner closely with business stakeholders to define problems & drive revenue. Define a product vision based on data & get buy-in on that vision from executives & your peers. Work with designers to create user experiences based on research & evidence. Treat your peers with the utmost respect to help maintain a positive & collaborative team culture. Initiate, spec, & manage products & features aimed at audience growth. Be flexible -- were a fast moving business & changes in the organization & priorities are inevitable. Mentor & guide a more junior PM to help them achieve their own career goals while also helping drive the teams goals. 4-7 years of Technical Product Management experience in an agile environment. You have shipped multiple products & can speak to the process of designing & building them with great detail. You have high emotional intelligence to relate the products you are building with the needs of our Members & maintain a healthy team culture. You lead with data & research & not assumptions. You are a great communicator, detail oriented, & a great cross-collaborator when working with other departments within the company. You have strong stakeholder management skills & arent intimidated to stand up for what is in the best interest of the product / your team. You are very organized -- you write detailed user stories in Jira, maintain your backlog & set clear goals that are shared throughout the organization. WeWork is the platform for creators, providing hundreds of thousands of members around the world with space, community, & services that enable them to do what they love & create their life's work. Our mission is to create a world where people work to make a life, not just a living, & our own team members are central to that goal. WeWork is creating a layer of technology to power our vision of space as a service. From identifying & designing a new location, to bringing that space to market in an elastic, easy-to-consume way, to seamlessly operating these spaces to delight our members, we are building state-of-the-art systems to automate, optimize, & enhance the experience. The data we are collecting is being used to dynamically optimize utilization, pricing, even layout & form factor. 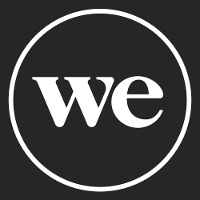 This technology advantage has allowed WeWork to scale to 400+ buildings in 25+ countries, & will be our competitive advantage as the company continues to grow. The mission of Product Offerings & Growth is to deliver technology that powers the growth of our core businesses, by providing the right products to the right people at the right price at the right time. It includes how we create product offerings out of SKUs, sellable inventory, & membership rules, at a dynamically optimized price. Product Offerings & Growth covers the the entire journey of a member, from their first interaction with our website or a salesperson, all the way through providing the right account visibility & flexibility so they stay a member for life & grow with us.